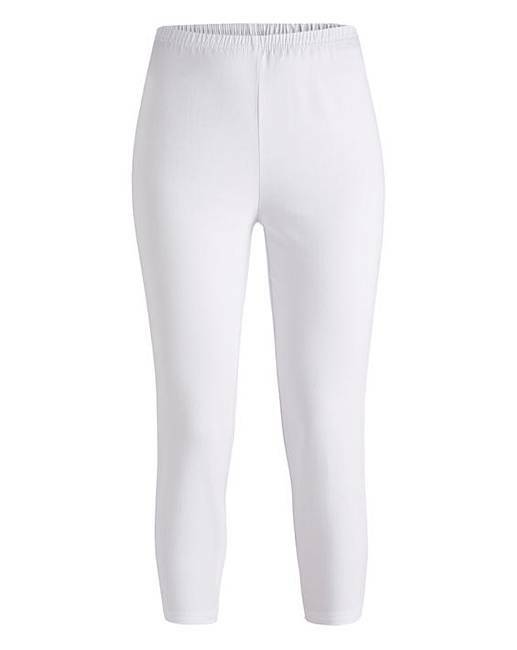 Pull-On Crop Jeggings is rated 3.9 out of 5 by 534. Boasting a superb fit and excellent value for money, these crop jeggings are a real wardrobe staple. 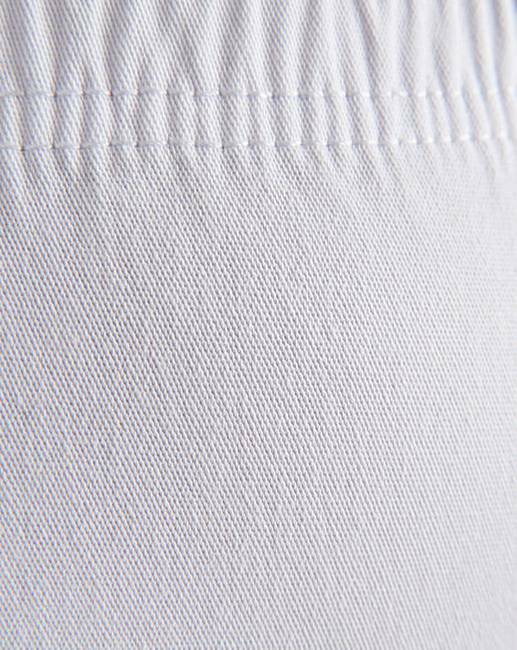 Made from a super-comfortable stretch denim, the elasticated waist ensures a relaxed feel, meanwhile the slim leg streamlines your silhouette and makes for a cute spring/summer style. Pair with your favourite T-shirt and pumps or trainers for a simple, day-to-day look. Rated 2 out of 5 by jaggythistle from white Jeggings i ordered these white Jeggings for my holidays when they came they looked really nice till i tryed them on they were to small round the tummy area, going with the other reviews some people said they were small made so i ordered the size 22 so i thought they would fit, usually if there streachy i can get an 18/20 and there perfect. Rated 5 out of 5 by Grannymeg from Just right These trousers are perfect. They are just the right length for shorties like me! Rated 5 out of 5 by Cherryd698 from Comfy and cool I have bought 4 pairs of these lovely comfy cropped trousers as they are great value for money but most of all they look and feel amazing. Can’t wait for my holiday (7 weeks) to wear them. Rated 1 out of 5 by Frankie from Wouldn’t refund Not happy as I received the jeggings and tried them on to find they were very big and also appeared worn and creased so I returned them based on them being too big anyway but they returned them refusing a refund as they appeared worn. 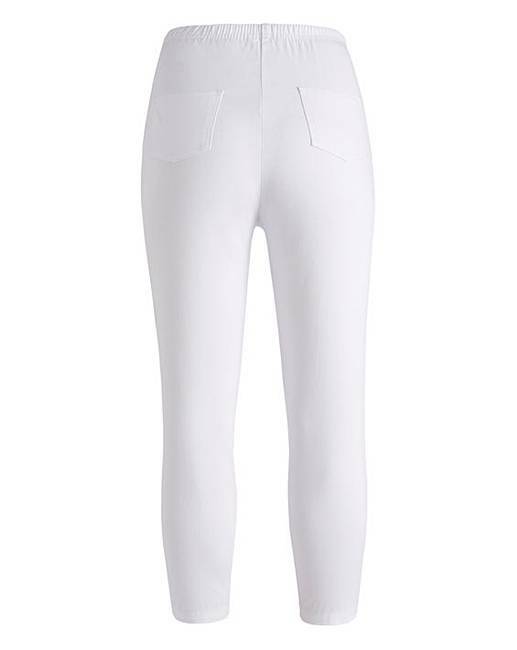 Rated 5 out of 5 by Millo3 from Great crops I just love these white cropped jeans. I brought them as a "just in case" for my holidays. I now need to buy them in other colours. The fit is perfect, they are so comfortable to wear and the price is great.